Our partnership with Nikon Canada enables our staff to become fully trained and authorized experts in the best quality lenses available. We have access to regular top quality training seminars and stay on top of current trends in lens technology. Our customers benefit from receiving the most up-to-date information and technology. Nikon has an extensive and illustrious history in lens coatings that spans industries as diverse and specialized as photographic equipment, high-precision instrumentation and micro-computer technology. This impressive heritage gives Nikon the leading edge in the field of ultra-thin coating technology for optical lenses. Nikon coatings are the result of a rigorous process that guarantees quality, durability, easy maintenance and of course, unequalled optical performance. Nikon offers a variety of coatings to consumers and all Nikon coatings assure three primary benefits. 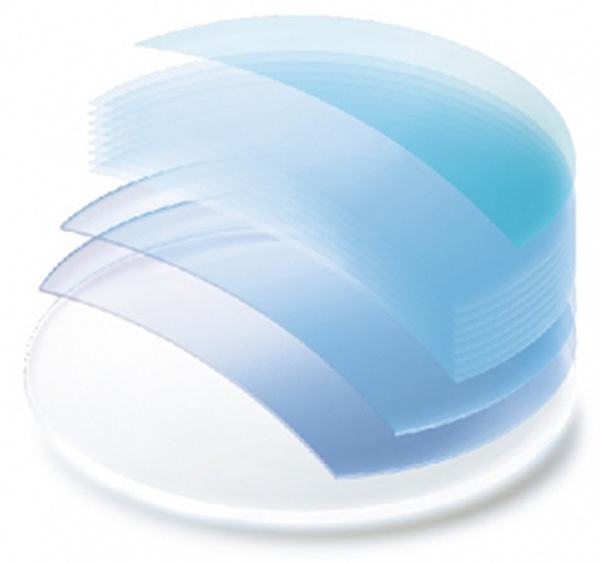 High-index materials offer the highest quality technology available in eyeglass lenses. Nikon pioneered this technology by introducing its highest index material available, 1.74. Nikon coatings eliminate reflections. They enhance visual clarity particularly when driving at night and working on a computer, keeping residual reflections to a minimum. Furthermore, Nikon coatings reduce eye strain and make for clearer, crisper vision. Nikon coatings protect lenses against abrasion and scratches, thereby prolonging their life whatever their index. Nikon is a leader in ophthalmic lens technology, holding claims to a series of firsts, from High-index 1.74 material, to the first customized single vision lens. Nikon continues to strive to be a leader in technological advancement in the ophthalmic lens industry, with the development of advanced digital lens designs and innovative coatings. The superior water and dust-repellent properties of Nikon coatings prevent lenses from water tarnishing and make cleaning quicker and easier than ever.